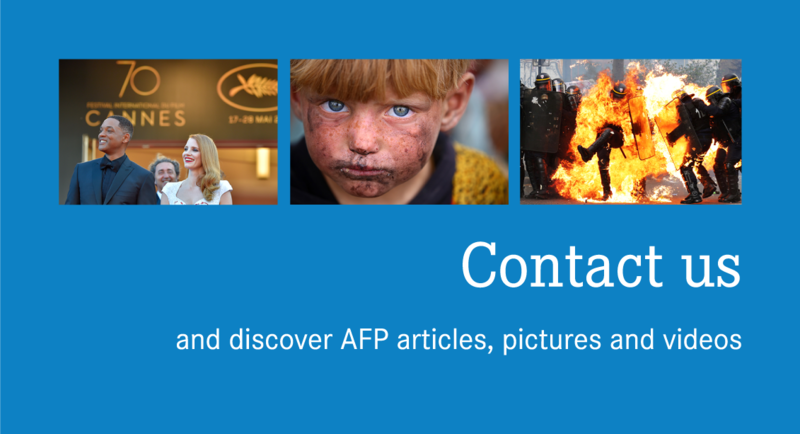 Agence France-Presse is a global leader for sports coverage in English, French, German, Arabic, Spanish and Portuguese, and in sports photography. AFP Sports comprises a worldwide network providing sustained, reliable, round-the-clock coverage. It also mobilises exceptional human and technical resources for major international competitions. AFP Sports is synonymous with innovation – for its almost instantaneous transmission of photos from stadiums or from the motorcycles following the Tour de France, as well as interactive, multimedia applications offering a blend of content and statistics with partners who are recognised in their specialise. AFP’s sports photo coverage is recognised as the most comprehensive, especially during major world sporting events. The talent of AFP photographers is recognised, and they have won numerous international awards including the British Sports Journalists’ Photo of the Year award in 2012, the Press Photographer’s Photo of the Year award in 2013, three awards at the UK Picture Editors’ Guild Awards in 2012 and five prizes at the 2013 “Sportfolio” in Narbonne. 650,000 sports photos produced in 2012. Between 2005 and 2012, sports production was multiplied by 6. Sports production represents 51% of the photos distributed by AFP. 2010 Football World Cup: clients received the first photos two minutes after the opening match kick-off. 2012 London Olympics: after Usain Bolt’s victory in the 100 metres, 100 pictures were sent to the media in less than 10 minutes. Remote editing, used during Euro 2012, made it possible to reduce the time between shooting the image and delivering to clients to just 1 minute 30 seconds. During the London Olympics, AFP, a pioneer in the use of underwater robots, placed 12 robotic cameras at the bottoms of the pools, on the stadium roofs and in the ceilings of the gymnasiums in order to get different camera angles. At the 100th Tour de France, AFP innovated by equipping its motorcycles with antennae continuously oriented towards the satellite position, enabling photographers to transmit their pictures almost instantaneously during the race. This set-up made it possible to transmit an 8 Mb photo in less than a minute, without interrupting the pursuit of the peloton during the stage. AFP’s video teams and their partners provide high definition video coverage of world sports news, with a unique and innovative perspective: competitions (national and international championships, Olympic Games, etc.) as well as behind the scenes coverage (press conferences, interviews, portraits, presentations of international sporting venues). Other major sports sports: Rugby, Basketball, Handball, Athletics, Judo, Swimming etc. In 2014, AFP’s video service launched Eurofoot, comprising videos of the most highly anticipated matches of each of the five main European championships: Ligue 1, Premier League, Liga, Bundesliga and Serie A, with training footage and press conferences and pictures of clubs, stadiums and football personalities. This production is available for both television and Internet sites. Websites can also access edited, Internet-ready versions via AFP’s online products. Since 2008, AFP has produced a special videographics product for the Summer and Winter Olympics. For Sochi 2014 and Rio 2016, AFP will provide a detailed presentation on each discipline featured in the Games. AFP’s videographics are produced in a video format in the agency’s six languages. AFP videographics have aleady won several prestigious awards, including the Malofiej prize for its presentations of 15 Olympic disciplines. ‘Turnkey’ internet-ready HTML 5 Modules, with all results and rankings available live, the best photos from AFP and news reports on competitions. Traditional products: news stories, photos, etc. ‘Turnkey’ internet-ready HTML 5 modules, with all results and rankings available live, the best photos from AFP and reports on competitions. History of the European Football Championships. Video produced by AFPTV: dozens of subjects, features and interviews available for the web, mobile or broadcast. New Zealand's Hurricanes recovered their puff after a shaky start Friday, scoring three second-half tries to floor the Sunwolves 29-23 in a frenetic Super Rugby clash. Dusan Lajovic had to summon all of his resources after falling ill last week, booking a place in the Monte Carlo Masters semi-finals with a 6-4, 7-5 win over Lorenzo Sonego on Friday. India's Virat Kohli has gone to bat for his former captain Mahendra Singh Dhoni, saying it was unfortunate to see so many people going after the veteran player.